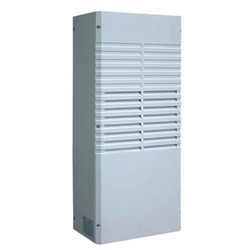 Industrial Panel Air Conditioner offeredcome backed by latest technology support and comes with advanced cooling capacity specially designed for cooling outdoor cabinet. Further, the innovative designed heat exchanger technology and use of tested key components also make these provide for superior performance and high energy efficiency. Some of its features include coming with IP55 protection level; suitably constructed to withstand severe cold and heat, dust and rain; durable equipment cabinet support; high energy efficiency compressor. Looking for HVAC Panel ?